Creative offers a wide range of products and services at incredibly low prices in Australia. These Creative promo codes expire soon, so don’t forget to bookmark this page now. Exclusive Creative voucher codes: Save A$130 on Aurvana Platinum headset and grab a perfect music hearing kit with good sound ambience only at Creative. Hurry! 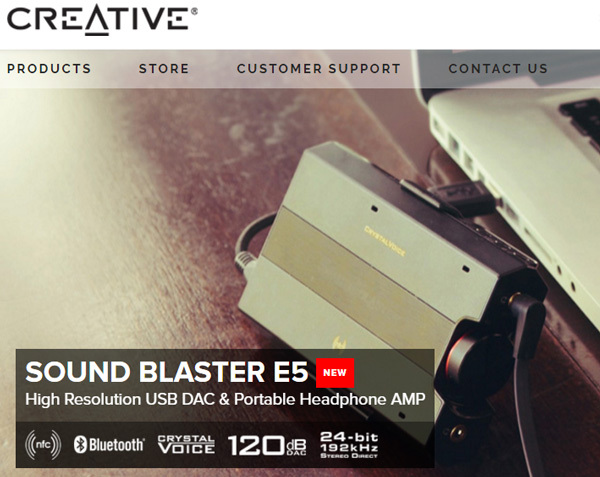 Latest Creative promo code: Shop for intelligent wireless Sound Blaster 200 deluxe pack from Creative and save A$40 on it. Creative free delivery offer: Creative offers free shipping to Australia and New Zealand on orders above A$129. Seasonal Creative deal & sale: Grab Sound BlasterX AlphaPad for high performance used by both beginners and professional gamers for just A$29.95. New Creative discount: Purchase this latest IP66 standards certified Creative MUVO wireless speaker for A$69.95. Limited time Creative coupon: Pay A$89.95 for Live! Cam Connect for a smooth, full-screen HD video chats only at Creative. Offer valid till stocks last! Creative is an established name in the digital entertainment product and was founded in 1981 in Singapore. The sole aim of the vision is to revolutionize the way people interact with the PCs. The company has the regional business unit in US, Europe, and Asia. Creative provides a best audio solution, high performance earphone products, premium wireless speakers and other portable media devices. The company ensure quality digital entertainment anytime and anywhere because of its innovative hardware, up-to-date technology, services, and applications. The company is well known for the Sound Blaster sound cards and since 1989 is leveraging its cutting-edge audio technology. The company’s aim is to expand its role in the personal digital entertainment market by using the cutting-edge technology and design for everyone who loves entertainment. The company ships to Australia, Hong Kong, Singapore, and New Zealand. Sound Blaster: Amplifiers, USB DAC, headphone amplifiers, internal sound cards, external sound cards, speakers, headphones and recording. 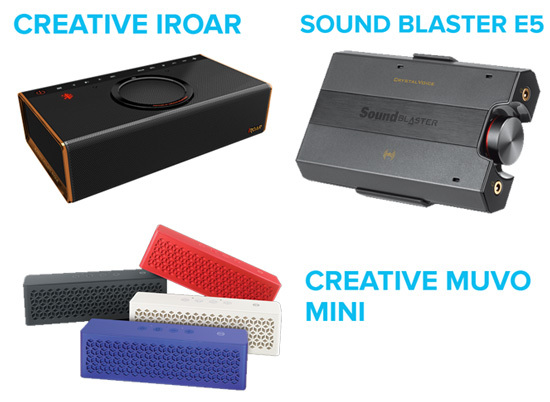 Speakers: Sound Blaster, Roar, Signature Series, Inspire, GigaWorks, Creative, SBS. Gaming Headsets: Sound BlasterX, Tactic3D Series, Tactic360 Series, EVO Series, accessories, and others. Headphones: Avurna Premium Series, MA Series for Androis, Wireless headphones, HN/HS/HQ headset series, EP Earphone Series. Accessories: For Gaming headsets, for Sound blaster, for speakers. Software: Sound Blaster X-Fi MB3, Dolby Digital Live, Sound Blaster Audigy Series-Dolby Digital Live Pack, and DTS Connect Pack. Web Cameras: Senz3D series and Live Cam series. Archived Products: This section brings you all the archived products and information regarding it. If you bought a Creative product, you must get the product online registered. The online product registration process is just a two-step process. You just need to enter the product information such as name and model and then enter the personal details. Similarly Value Basket also sells electronics products with great discount offers, multilingual customer support & information of upcoming products before its release date. Also, you can enhance your look with the purchase of stylish outfits for both men and women from Tarocash and receive huge savings on your shopping by using a discount code. You will find everything from clothing to accessories at an offer price. Creative MUVI MINI for A$69.95! Sound Blaster E5 for A$339.95! Add your desired product and then proceed to the Cart Page. In the Promo Code section paste the coupon code. Click Apply and the promo code discount will reflect in the cart. By becoming the member at tobi.com you are offered with discount of 50% on your first order. You will find quality designer products featuring clothes, shoes and accessories at budget friendly prices. The company ships to addresses in Hong Kong, Singapore, and Australia via the regional website in Asia. The company doesn’t deliver to motels, hotels, and PO boxes. All the items are dispatched from Singapore and shipped by Fedex. On an average, the processing time before shipment is 24-48 hours for in-stock items. The warranty policy starts from the date stated on the invoice shipped with the product. A proof of purchase should be presented to their Technical Support Advisors to verify the warranty coverage. The company has a YouTube channel where you can find videos related to future of audio, latest happenings in the Creative, reviews of latest headphones, wireless speaker, Sound Blaster World of Warcraft Headset and gaming headsets. The below video shows information about Creative iRoar which is the most intelligent speaker on the planet! If you have a Creative product and looking for technical support, you can select from the appropriate categories, choose the relevant product and model and you can find frequently asked Q&A regarding the product. Some of the categories that you can look for technical support are: Entertainment devices or MP3 Players, Sound Blasters, Speakers, Headphones, Web cameras, Pocket video cameras, Keyboards and mice, E-MU XM7 Bookshelf Speakers, E-MU/Creative Professional and others.